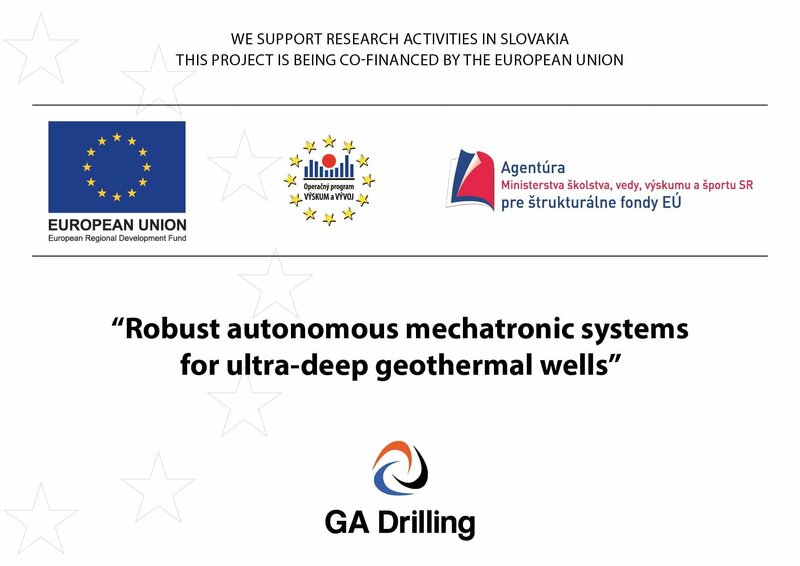 On February 1st, 2011 GA Drilling implemented a project entitled „Robust autonomous mechatronic systems for ultra-deep geothermal wells“ along with its partner The University of Žilina. The goal of the project was to research and implement the innovative mechatronic systems for extreme conditions of ultra deep geothermal wells. The project is being implemented through three main activities, and two supporting activities. The length of the applied research project is estimated for 36 months, what is the optimum time to achieve the objectives of the research project.